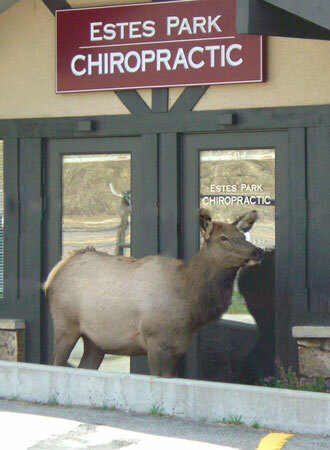 Why Choose Estes Park Chiropractic? Dr. Rob Teigen practices a variety of both manual and instrument techniques including diversified, flexion\distraction, atlas-orthogonal, activator and extremity adjustment. Dr. Teigen has been practicing chiropractic for 19 years. He graduated from Cleveland Chiropractic College in 1998. Dr. Teigen in Kansas City,Ks for two years working as an associate for Dr. Gary Boring. From Kansas City, Dr. Teigen branched out and moved back to his home state and built a successful practice in Vemillion, South Dakota. He practiced in South Dakota for 6 years and enjoyed being the team chiropractor for the University of South Dakota Coyotes. In 2006 he took over Estes Park Chiropractic from Dr. John Reichhardt. Dr. Reichhardt established Estes Park Chiropractic in 1976 and Dr. Teigen was thrilled to have the opportunity to practice in beautiful Estes Park, Colorado.